MAXI/GUARD® OraZn® is the first home dental care product for dogs, cats, and exotics offering neutralized zinc (pH 7) in hydrogel form. Neutralized zinc is a combination of select amino acids and zinc. Taurine and zinc gluconate form a complex bond that inhibits the precipitation of zinc in the neutral pH (6.7-7.0) range and the hydrogel adds mucoadhesion. 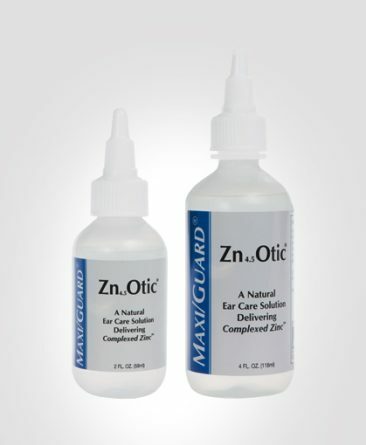 In this narrow pH range an oral zinc preparation delivers increased bioavailability. 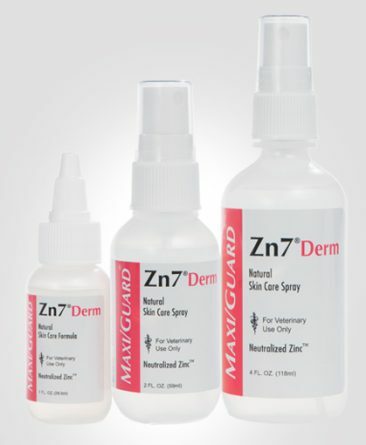 Many veterinarians have experienced the unique topical benefits of Zn7® Derm. Zn7 is one of today’s most popular dermatological topicals. OraZn is Zn7 for the oral cavity. OraZn is packaged in 2oz. 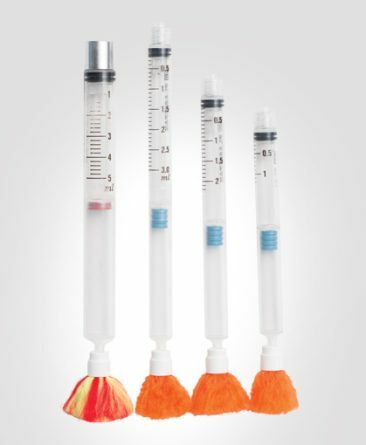 soft squeeze bottles with built-in applicator tips. 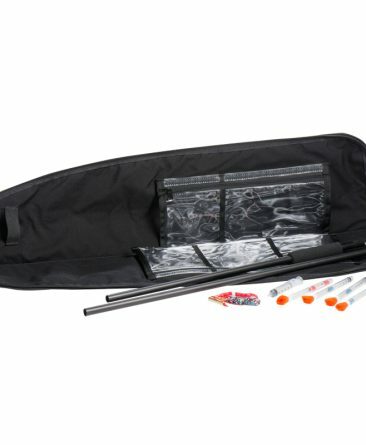 Pet owners should check with their favorite veterinarian to see if they carry our products. Veterinarians may order our products through any of several veterinary distributors. If you are having difficulty finding a source for our products, please call us at 1-800-331-2530 or email info@addisonlabs.com. Zinc is an essential trace element and a component of about 300 metallo-enzyme systems. Many of these enzymes play key roles in extra-cellular matrix remodeling, gingival healing, connective tissue repair, inflammation and cell proliferation for repair processes. With increased bioavailability, the zinc readily permeates plaque and oxidizes anaerobic bacteria. 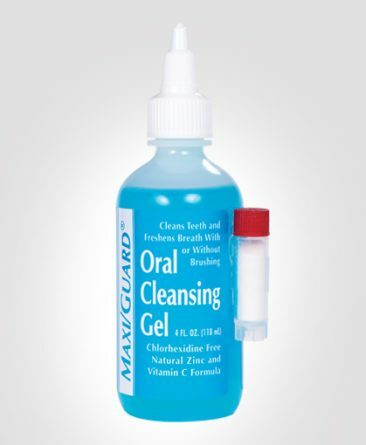 Taurine chelates with sulfur compounds and absorbs malodorous activity eliminating halitosis. Zinc is an essential trace element and is a component of about 300 metalloenzyme systems. Many of these enzymes play key roles in extra-cellular matrix remodeling, wound healing, connective tissue repair, inflammation, and cell proliferation. Consider OraZn for your routine home dental maintenance needs especially with cats and dogs. OraZn’s neutral pH (clean and natural) and taste free delivery are home dental care compliance builders. Having no requirement to brush, this product is ideal for increasing pet acceptance and building client loyalty. With cats use a pea sized droplet from you finger tip, gauze pad or swab. Simply rub this amount of gel onto the gum areas above the outside back upper molars on each side of the mouth. A gentle bathing action will distribute the neutralized zinc gel to remote areas of the mouth. Use slightly more for small dogs. Daily application is preferred and the product is easy to apply. Zinc, an essential trace element, has a wide margin of safety. Cats and dogs require a certain amount of zinc from the diet daily. A healthy pet can consume recommended amounts of daily OraZn or MAXI/GUARD Oral Cleansing Gel without harm. Any excess zinc entering the body is excreted back into the GI tract while a smaller fraction is excreted by the kidneys. Many home care dental products contain chlorhexidine. Published veterinary dental research has demonstrated that regular chlorhexidine use can increase the rate of mineralization plaque (calculus formation), stain the teeth brown, and decrease the patient’s sense of taste. OraZn does not contain chlorhexidine and does not have these side effects. To view an excerpt from a paper presented at the American Veterinary Dental Society Forum on this topic, click here. OraZn is taste free with a neutral pH (6.7-7.0) and provides excellent pet acceptance. The product also works with or without brushing, so application can be adapted to suit your pet. In veterinary clinics MAXI/GUARD OraZn may be dispensed for a pet’s home use prior to a prophy and/or sent home for immediate use post prophy. “Even periodic dentals did not perform the odor removing function of MAXI/GUARD. I only wish I had tried it sooner.